Bio Therapeutic Micro Needling, What exactly is it and why is it available only at Skin Essentials by Mariga? One of the special things about choosing Skin Essentials by Mariga as your skincare service provider is that you are getting a completely bespoke experience. Not alone do we customise your treatment every time, we actually create protocols from scratch that are completely exclusive to Skin Essentials. A good example of this is the Bio Therapeutic Micro Needling Protocol which I created (and copyrighted) in 2015. At that time, and still currently as I write this, we were the only clinic in Ireland educated and approved by Dr. Lance Setterfield, global microneedling master educator, and also the only skin clinic in Europe with the world-leading Celluma LLT device. Working closely with Celluma and bringing our own unparalleled levels of skin science education and experience into play, I created the treatment, and the name, Bio Therapeutic Micro Needling to describe the custom treatment we could now offer exclusively to our personal clientele. So, is it a combination of microneedling and LED and can’t anyone do that? Yes, it is a combination of microneedling and LED and no, not anyone can do that! At least, not in the way we created. Our name ‘Bio Therapeutic Microneedling’ very specifically represents BIO photas, (creator of Celluma LED) THERAPEUTIC aftercare created only by Skin Essentials and the MICRONEEDLING protocols trained only by Dr. Setterfield. Thus, the name very specifically relates to the treatment that I alone created combing all these elements. In addition, it is absolutely not a one-size-fits-all-treatment. Within the protocol there are any number of adjustments to each element that makes it completely unique to your own customised treatment. We do this with many of our treatments but I am specifically focusing on this one in today’s blog as it has been brought to my attention that Bio Therapeutic Micro Needling as a treatment name is being offered elsewhere and I want to assure you that I have never trained anyone else in this protocol and if they are using my protocol name then it is not with my permission and certainly they are not using the same techniques, products and skill that you can expect only from Skin Essentials therapists. Usually I don’t care about the copycats, I have had to put up with that a lot in my career as I am always very focused on research, innovation and bringing the best to you, which sometimes other people (wrongly) think that they can recreate without doing the groundwork. But in this instance I wanted to highlight it as it is a direct copying of a name I created but cannot be the same treatment as I have never shared the techniques so please don’t be fooled into thinking that you can get our treatments anywhere else. I really didn’t mean this to be a negative post but sometimes I get frustrated that clients are being fooled in this manner, always do your research and ask questions! 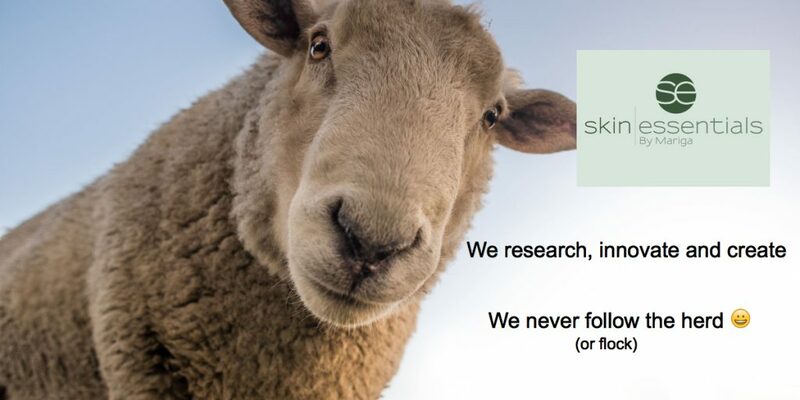 I guess it’s obvious that anyone who is not concerned with copyright/IP infringement is hardly likely to have their clients best interest at the front of their mind when performing treatments. 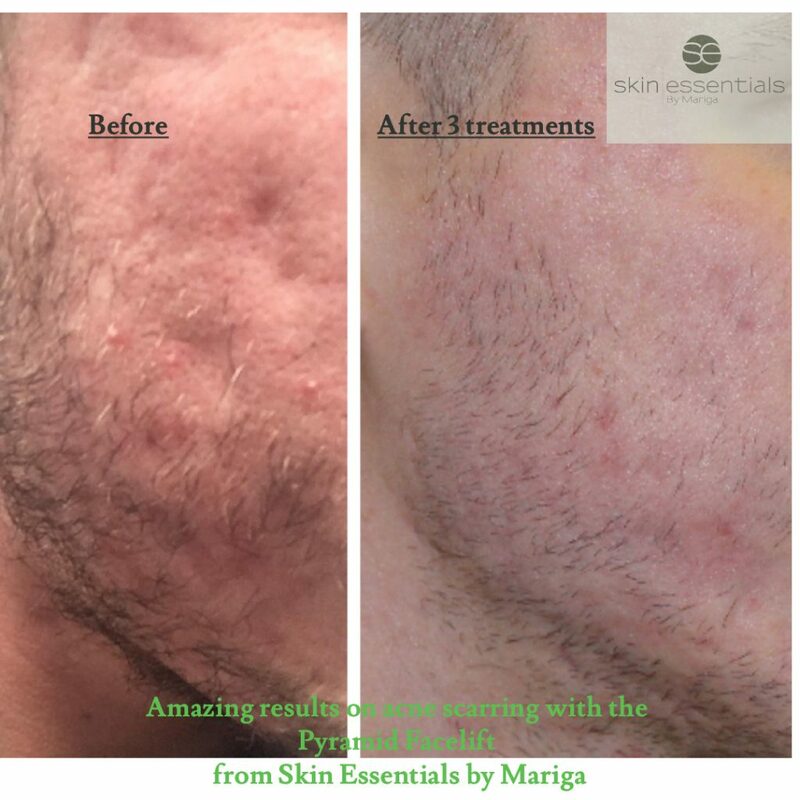 This entry was posted in Advice, Treatments and tagged anti ageing, essentials, microneedling, needling, skin, wexford on 15/08/2018 by mariga. Microneedling is our most requested treatment here at Skin Essentials by Mariga. It is also the one most people have questions about or don’t fully understand. I blame incorrect information on the internet for this – mostly for the idea that microneedling causes bleeding or is extremely invasive with a lot of downtime. In fact, bleeding is rare and isolated to areas where we have to work deeper due to scars. Needling for wrinkles, lines and age prevention is relatively non-invasive and much more comfortable than you would imagine. In the three minute video below you can see a snippet of me having the treatment done and get an idea of how easy it really is! Microneedling is natural, safe, proven, suitable for almost everybody and my personal favourite Age Slowly treatment. Combine it with great, personalised homecare and regular maintenance facials for the ultimate in anti-ageing skincare. All our needling treatments include LED for an added boost of power and a relaxing treat after the microneedling. Pop in to our clinic in Selskar, Wexford or call us on 053 9145981 to chat about your skincare needs. This entry was posted in Advice and tagged advice, age slowly, clinical skincare, LED, microneedling, skin essentials, skin experts, tips, wexford on 12/11/2017 by mariga. It won’t come as a surprise to know that microneedling is my favourite anti-ageing treatment as I talk about it so much here on the blog and across all my social media channels! The reason that I recommend it so highly is because it is natural, it works on all skin types and it can be used at any age and stage of ageing to prevent, and reduce, lines, wrinkles, loosening skin and all general visible signs of ageing. I always advise my needling clients to use a home roller along with their clinical treatments. The two are very different and are used for separate but complimentary outcomes. Clinical needling is deeper (up to 1mm) and has some downtime of redness associated with it, usually 1-2 days. It is used to deeply stimulate skin structures, notably fibroblasts, to increase their output and act like younger cells. We focus on the correct depths to increase collagen production which in turn and over time tightens, brightens and firms the skin. Home needling is a much shallower treatment, .25-.3mm maximum. This depth affects only the top layer of the epidermis and allows for deeper penetration of your products for maximum absorption and results from your recommended homecare routine. It also acts like a ‘reminder’ to the fibroblasts of the clinical treatments and furthers collagen production started in the treatment room. Twice a week at home is great and it takes just 5 minutes. Ideally, use our Hyaluronic+ Moisture Boost Serum with your home roller for a hydration boost. And remember, always buy your rollers from a reputable source! (We sell them here). Cheap online versions of anything are generally cheap for a reason. Never compromise with your skin, it has to last you a lifetime. Have you read Mariga’s e-book yet? ‘The Skincare Rules’ is packed full of simple, easy to implement tips that will help to get you great skin – for life! This entry was posted in Uncategorized and tagged anti ageing, anti wrinkle, clinical treatments, expert, Mariga, microneedling, skin advice, skin essentials, wexford on 13/10/2017 by mariga. Anti-ageing doesn’t need to be complicated or confusing. It can be hard to figure out the many types of anti-ageing treatment, products and ingredients that we are constantly bombarded with on social media, magazines, tv etc. From snails to stem cells, vampire facials to baby botox, there is a never-ending stream of “the next big thing” in anti-ageing. If you are overwhelmed with choice, bewildered by conflicting advice and unsure of what’s really necessary, this blog is for you. 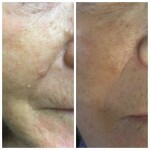 Below I have outlined the basics of sensible, proven anti-ageing treatments and products that are all you will need to see a visible difference in your skin. If non-invasive anti-ageing is your thing (we deal in ‘fresh not frozen’ outcomes) then read on! These are my top 3 in treatments and products for a younger complexion on all skin types. 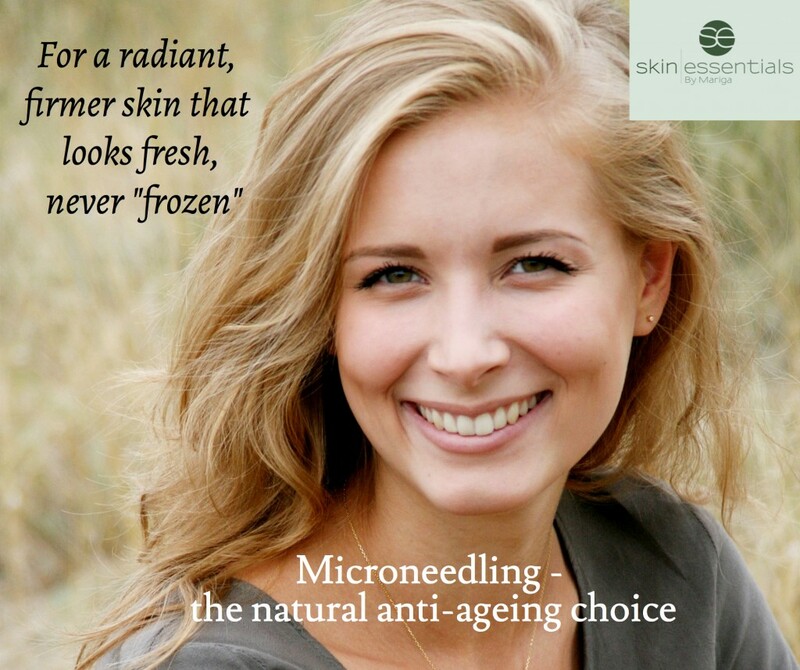 Microneedling – delay and reverse visible signs of ageing. This is the ultimate non-surgical treatment for giving you a youthful look that is fresh – not frozen. For those who want subtle yet visible revision of lines and laxity. Results are gradual and permanent. 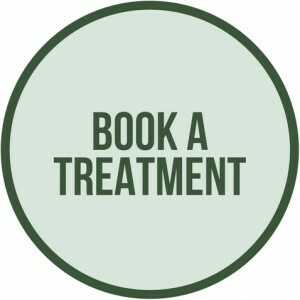 Fantastic also as a time-delay treatments for pre-ageing clients. LED light therapy. Powerful, natural, non-invasive and customisable. Stimulates collagen, gives a revitalised softness and glow back to your skin. Add-on to your facial to supercharge results or have a course for a deep skin re-boot on skin that has been neglected or over-exposed to the sun. 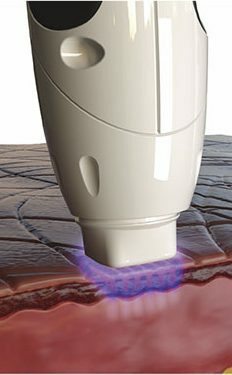 I have been using LED therapy on my clients for over ten years now and it shows in their skin! Facial Massage. This old-school treatment will always have a place in our customised facials. A targeted, personalised facial massage is far more than just rubbing lotions into your skin. In the right hands it is a stand-alone anti-ageing tool that increases the availability of nutrition to the skin cells, stimulates lymph flow for sharper contours, releases muscle tension from the face, eyes and shoulders. Our therapists are trained in many types of massage so that we can tailor the best one for you. Examples are sculpting and lifting massage to give a more wide-awake and fresh look to the face and eyes, lymphatic drainage to reduce puffiness or pressure point manipulation to relieve tension. And of course whatever method we choose for your facial, it’s blissful to receive! Gentle cleanser and SPF30 moisturiser are your basic core products in any skincare routine. Without a thorough, yet gentle, cleanse, your following products will not work to their full effectiveness. And, of course, we all know that prevention is better than cure, so SPF30 daily moisturiser is a must-have. From the Skin Essentials range look for Skin Comfort Cleanser and SPF30 Day Cream. Serum. If you have not yet started using serum then it is time to make the change! Well-formulated serums can deliver targeted actives much deeper than your treatment cream and deliver visible results over time. There are serums for all ages and skin requirements but from an anti-ageing point of view the number one ingredient to use is Vitamin A, the global gold-standard in effective anti-ageing. This ingredient is vital for skin health and function and will keep cellular turnover at optimum levels, giving you brighter, clearer skin with less congestion, diminished lines and a more even colour and texture. Choose the correct serum for your skin type then add a vitamin A serum at night for anti-ageing power on every skin type. From the Skin Essentials range look at Age Slowly Serum. 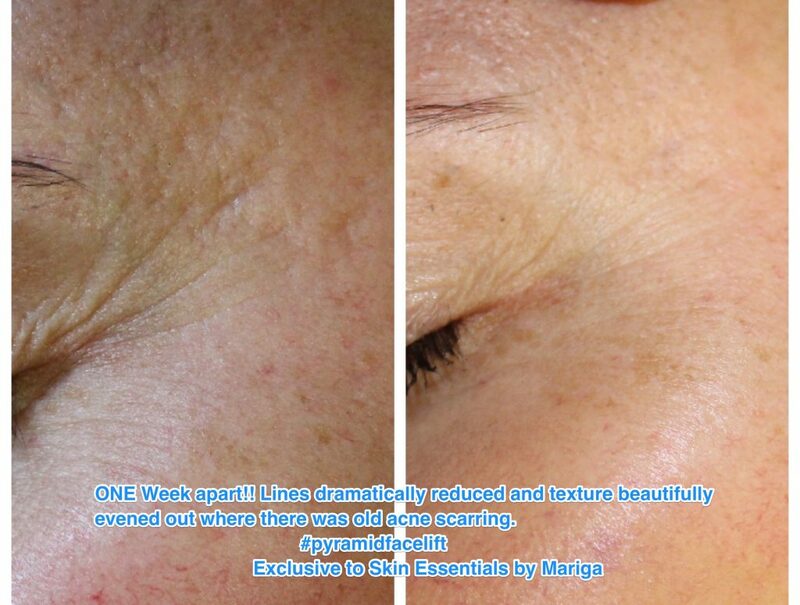 This entry was posted in Advice and tagged advice, anti wrinkle, clinical treatments, facial, Mariga, microneedling, products, scientific, skin, skin essentials, skin expert, skincare, vitamin A, wexford on 26/07/2017 by mariga. 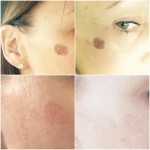 Lumps, bumps and discolourations, we can help! 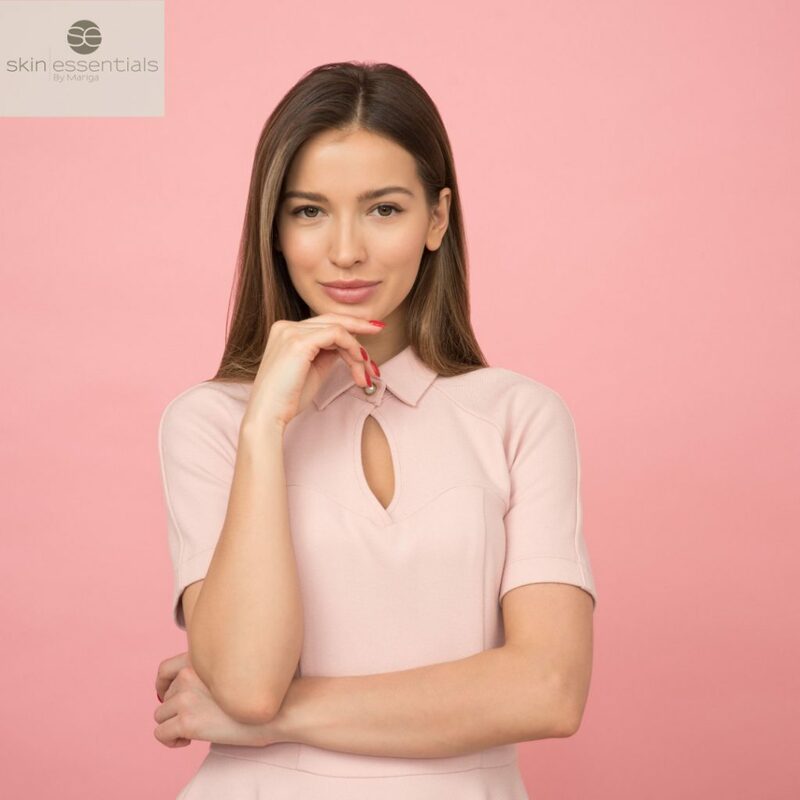 Did you know that many of the annoying little skin anomalies that pop up over time on your face, hands and body can usually be very quickly and easily treated or removed, often in a single session? One of the most satisfying parts of my job is taking care of age spots, skin tags, red veins and milia. In fact, I do all the lesion removal services in the clinic myself, that’s how much I love it! We offer both cryotherapy (cold) lesion removal and electro desiccation (heat) methods of removal to ensure that you are getting the exact best treatment for your needs. A quick consultation determines the type and number of treatments that are the best fit for you. All of our treatments are non-invasive, meaning we work only in the upper layers of the epidermis. Both diathermy and cryotherapy are natural treatments using heat or cold energy that does not scar or damage surrounding healthy tissue. 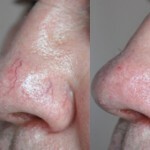 Red veins on the face – treated with diathermy. These tiny, visible veins respond very well to treatment and smaller ones will disappear in just one session. Larger or more extensive veins will need up to three sessions taken six weeks apart. Skin tags: from the tiny ones on the neck to large individual tags anywhere on the body, these are very simple to treat, usually requiring just one session of either diathermy for the little ones or cryo for the bigger tags. Milia: very successfully treated with diathermy, one session for small ones, follow up treatment needed for larger or more extensive milia issues. Milia removal by diathermy, before and after one treatment. Age spots/hyperpigmentation patches: vey simple and quick to treat with cryotherapy. We cannot treat anything that is deeper-rooted in the skin, beneath the epidermis such as moles, or flaky, recurring or weeping patches of skin. These need to be seen by a doctor. Can I help you with any of the above? or maybe you have a spot that you are not sure if it fits in to any of the above categories? Just give me a call on 053 9145981 or pop in to our skin clinic, Skin Essentials by Mariga, in Selskar, Wexford Town and I will be happy to advise you. See more details and pricing here. This entry was posted in Advice and tagged expert, fibroblast, LED, microneedling, peels, plasma on 19/07/2017 by mariga.